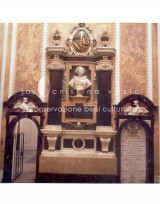 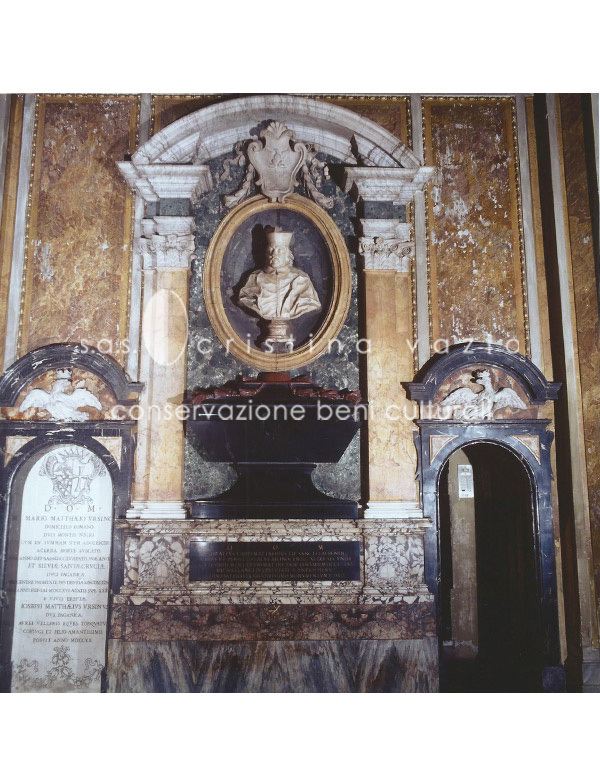 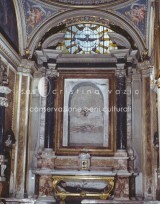 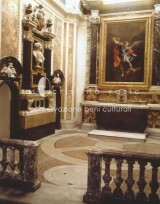 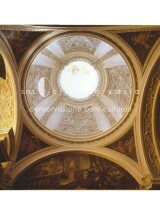 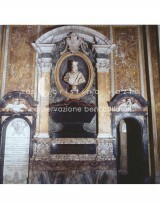 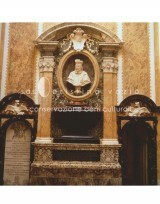 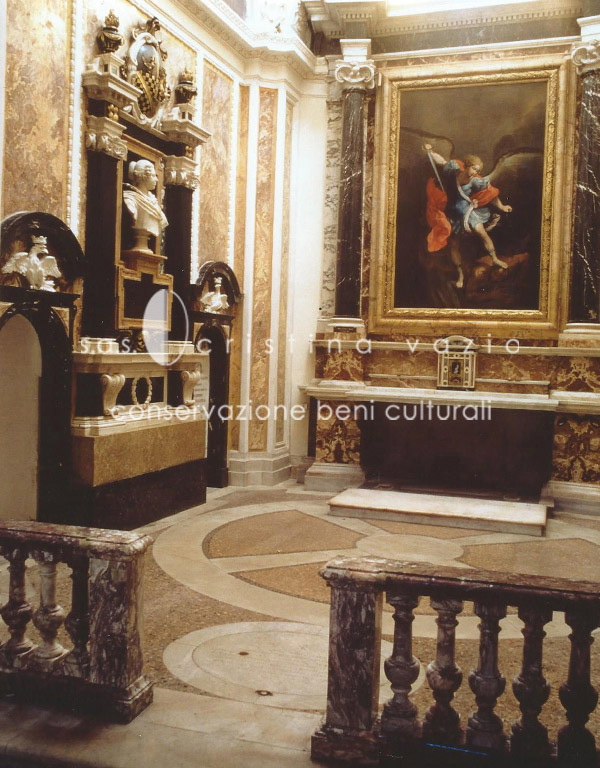 The chapel of Saint Carlo da Sezze in the Church of St. Francesco a Ripa in Rome, was decorated in 1637 by Andrea Bolgi with stucco works, bronze and marble art works. 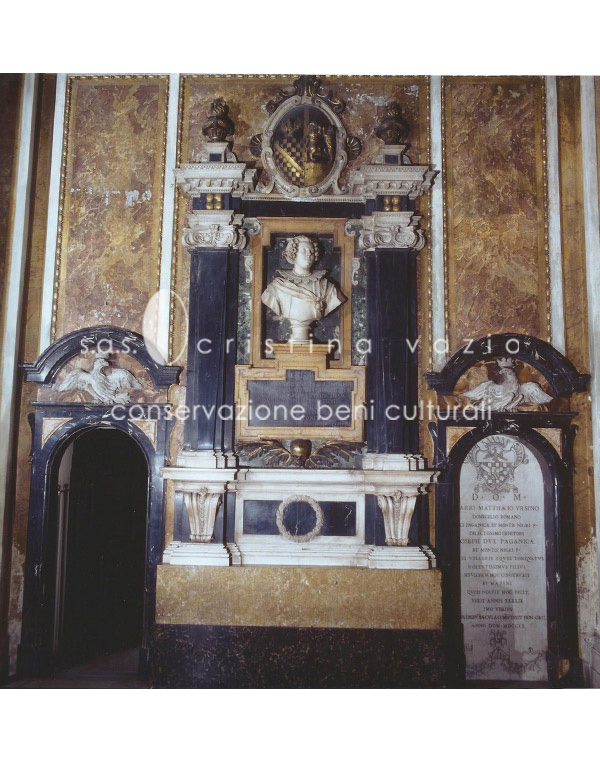 The artist’s signature came to light during restoration on the edge of the female bust of the funerary monument to the left. 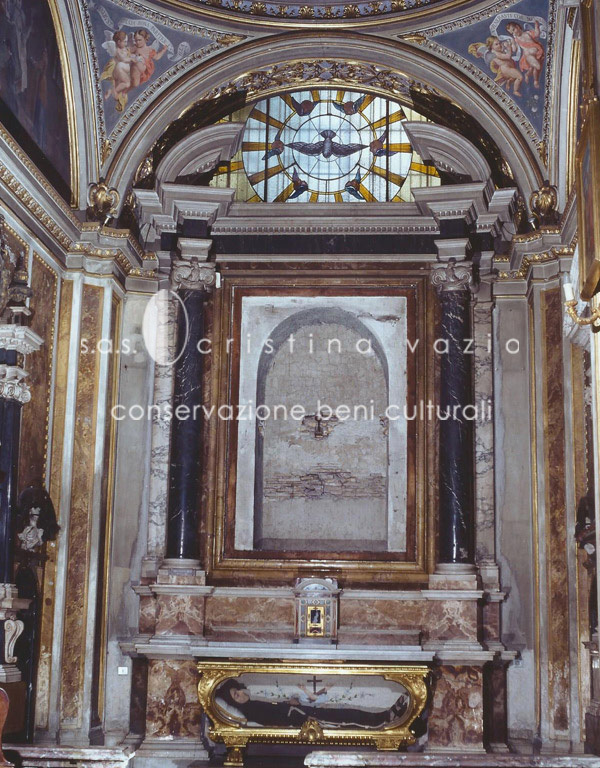 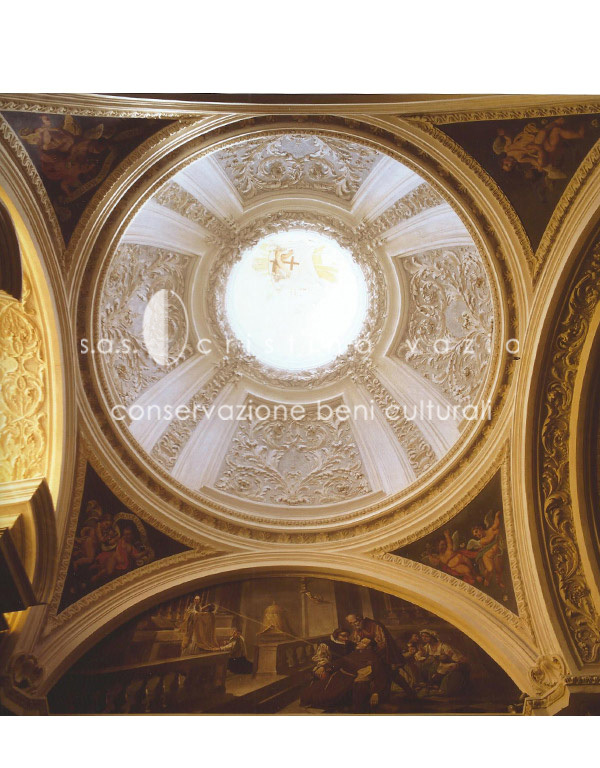 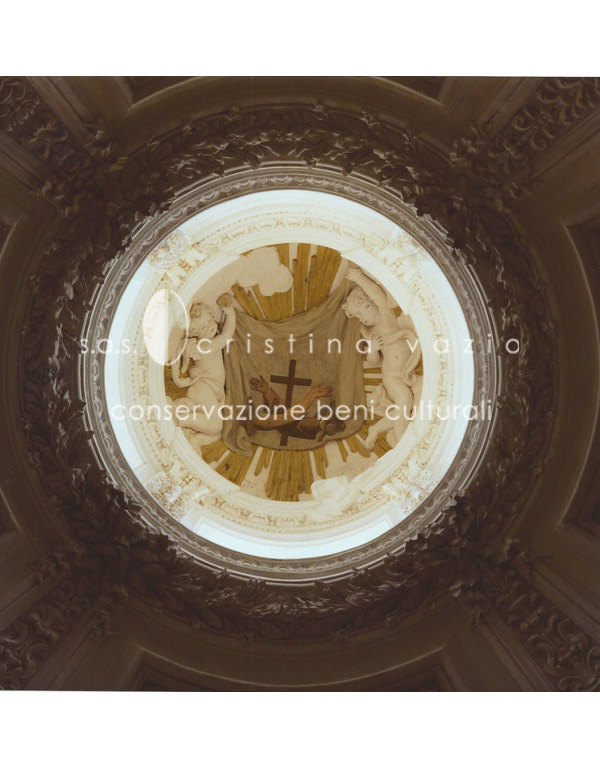 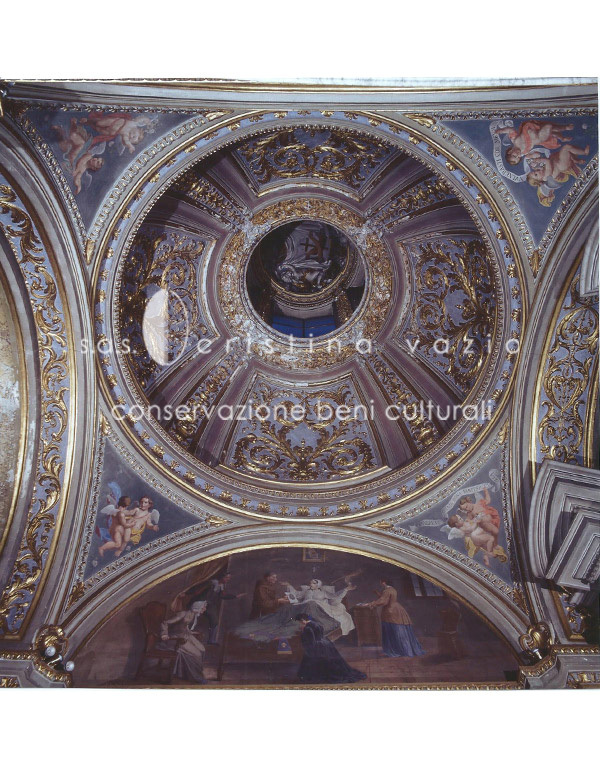 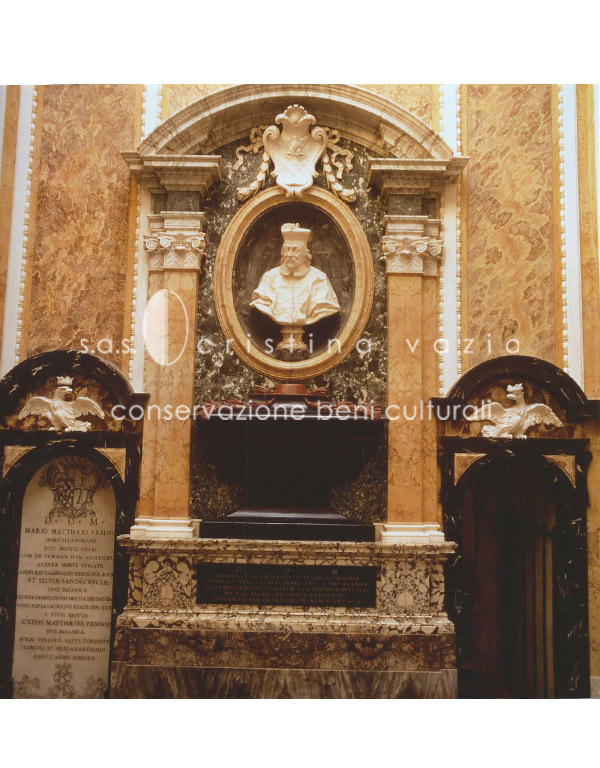 In 1881, on the occasion of the dedication of the chapel to Saint Carlo da Sezze, the painter A. Sozzi decorated the lunettes and the spandrels with scenes from the life and the miracles of the Saint. 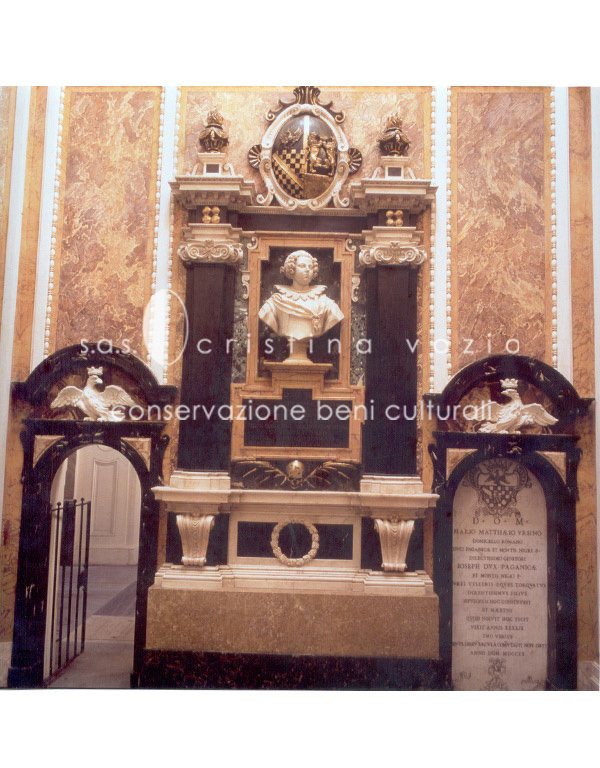 At the time of our intervention (see CV attached), marbles and paintings were in good conditions, on the other hand, the stucco decorations which had been remarkably darkened, were at risk of collapse and presented large evidence of detachments.